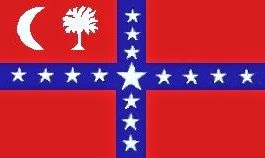 Secession and the knee-jerk reactions to it have been of interest to me ever since I started doing historical research. Yankee/Marxist politicians, in 1861, sought to portray secession by the Southern states as the most monstrous of crimes ever perpetrated on the human race. The fact that some Northern states had threatened secession and actually sent delegates to Hartford, Connecticut in 1814 to consider the issue was a historical fact that was lost on them, and they hoped on everyone else too. Somehow, when the Northern states considered it, it was not treason. That was only the case when Southern states did it. Between 1814 and 1860, secession went from being a favored possibility to a horrendous crime, most notably if the South did it. Even, and especially, in our day, many of our crop of “historians” absolutely howl about how secession was treason and how the Confederate States were seeking to overthrow the United States government–all of which is complete bovine fertilizer–and don’t think they don’t know it. All the Southern states wanted were to be able to go in peace. They had no interest whatever in overthrowing the federal government in Washington; they just wanted to depart and set up their own government. 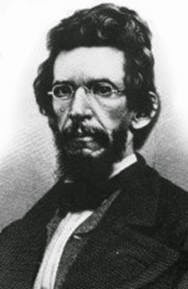 However, Mr. Lincoln and his erstwhile collectivist friends couldn’t allow that, as the Southern states paid the lion’s share of the tariff for the whole country and if they were allowed to depart, why the Northern states might have to start ponying up their share of the tariff because the South would no longer be there to pay over 80% of it. When the shooting part of the War of Northern Aggression was over and the Confederate States, which never officially surrendered, by the way, were in ruins, the benevolent Yankee/Marxist government took Jeff Davis, who, with his cabinet, had fled rather than surrender, and they tossed him into prison at Fortress Monroe in Virginia for two years, planning at the outset to bring him to trial for treason and secession, which they claimed were one in the same. 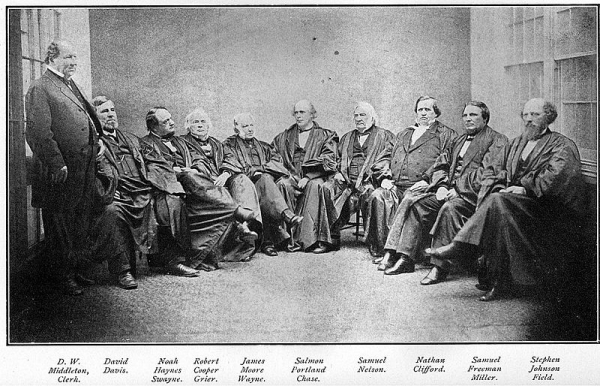 After two years of prisoner abuse and political horseplay, the Union government finally decided, rather reluctantly, that it could not afford to bring Davis to trial because, should that event transpire, it might well be proven in court that Davis and the South had been right–secession was not at all illegal, nor was it unconstitutional. After all, what did they think the Declaration of Independence was other than a secession document? Several years back now, 1995 I think it was, I wrote a short 26 page booklet on secession. It has since become one of the booklets I offer in my home school mini-history course. In that booklet I quoted an author, James Street, who had written a book entitled simply “The Civil War.” Mr. Street had a few comments about what happened to Jeff Davis at the end of the War. He said: “The North didn’t dare give him a trial, knowing that a trial would establish that secession was not unconstitutional, that there had been no ‘rebellion’ and that the South had got a raw deal.” You can’t say it much plainer than that. Later, I picked up another book, written by Burke Davis (no relative to Jeff that I know of), entitled “The Long Surrender.” It dealt with much of what happened with the people involved during the final days of the Confederacy, when Richmond fell, and Jeff Davis and the Confederate government fled the city and tried to set up somewhere else in order that they might carry on the struggle. After Jeff Davis was captured, the vindictive and radical Yankee/Marxist Secretary of War, Edwin Stanton, (who many feel may have known more about the Lincoln assassination than is admitted) wanted to implicate Davis both as a co-conspirator in Lincoln’s assassination and as a traitor for being the head of the secessionist government in Richmond, even though secession had not been original with Davis. What the radical, Yankee/Marxist politicians were admitting among themselves (they’d never say it anywhere else) was that they had just fought a “civil war” that had taken or maimed the lives of over 600,000 Americans, both North and South, and that they had no constitutional justification whatever for having done so, nor had they any constitutional right to have impeded the Southern states when they chose to withdraw from the constitutional compact. They had fought solely for the right to keep an empire together. Call is “Manifest Destiny” or whatever noble-sounding euphemism you want to tack onto it, either way, they had been wrong. Now they could ill afford to let Jeff Davis go to trial, else their grievous crime would become public knowledge and beget them even more problems in the future, and that would have given them problems as they sought to redistribute among their friends whatever wealth remained in the South. Real human rights in both North and South had been trampled on, and have continued to be up until and including today. What the Lincoln administration and early Marxist Republicans started and kept up during “reconstruction” has finally come to full fruition in our day, with such legislation as the “Patriot Act” and Obamacare, which effectively cancel out much of the Bill of Rights–as was intended and still is. The War of Northern Aggression started the trend in this country in which leftist politicians have ever sought to usurp the rights of individual Americans, and to rule over us rather than to represent us as they were originally delegated to do. Truly, there is nothing new under the sun. 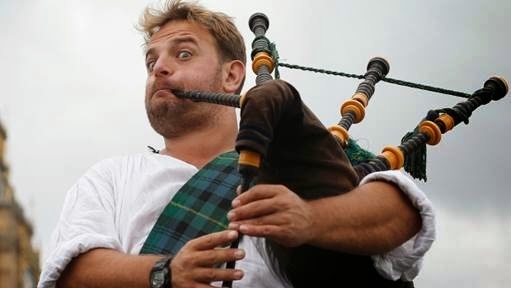 And now, with secessionist sentiment running rampant all over the world, the politicians are getting a bit nervous. Perhaps one of the most iconic—and easily recognized—pieces of clothing from the colonial era is the tri-corner hat, or more simply known as the tricorn. Although the style originated in Europe, it is now associated with the American Revolutionary War and our nation’s fight for freedom. 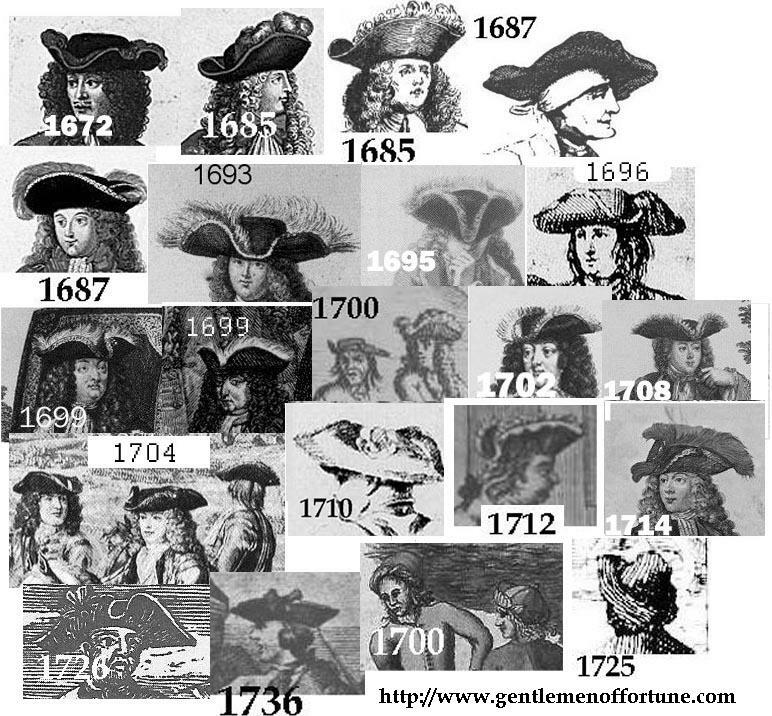 In 17th-century America, hats with tall crowns and wide brims, like the steeple hats worn by the Puritans, started to go out of style. They were thought to spoil the appearance of and look precarious atop a wig, which was the newest fashion trend for men at the time. The tri-corner, however, had three sides of the brim turned up, either pinned or buttoned in place to form a triangle around the wearer’s head—”like a mince pie,” to quote the vernacular of the time. This style then allowed the wearer to show off his latest wig fashion underneath, and thus his social status. Also, the tricorn was smaller in size due to the folded brim and was more easily tucked under the arm when entering a building, a gesture that displayed the proper social etiquette of the time. Jones, John Paul (bust), 1781. The style of the tricorn ranged from the very simple to extravagant hats embellished with feathers and trim. Hat brims themselves could also be left plain or dressed with a variety of trims. Although the most common trim was a worsted wool hat braid in black or white, there were also brocades, metallic, and silk trims in various colors depending on personal preference. Black, grey, and “tobacco,” or tan, were popular choices for the hat’s body color. At the height of its popularity, the tricorn hat was worn by not only the aristocracy but also by common civilians and members of the military. It was typically made of animal fiber and fashioned with the point facing forward. For soldiers who often rested a musket or rifle on their left shoulder, however, the tricorn was usually worn with the front corner directly above their left eyebrow for better clearance. The most common military version had a brim of five inches in the back and four inches in the front. On August 20, 1776, supreme commander Gen. George Washington issued general orders that included instructions detailing the use of cockades. A cockade is a rosette, feather, or knot of ribbon usually worn on a hat as part of a uniform or as a badge of office. At the time, the Continental Army did not have a uniform, and these cockades served as identification among military personnel. Field officers were to don pink ones, captains to wear white ones, and subalterns were to attach green ones to their headwear. It was not until 1783 that an official “Union Cockade” was issued to be worn on the left breast. The tricorn hat is more than just a historical fashion statement—it is a historic element of the character and pride of our Revolutionary Army. It only seems fitting that we take our “hats off” to one of our favorite headpieces in our nation’s history. Huzzah! Post updated 8-18-2014Posted by Jessie Kratz on August 18, 2014, under – Revolutionary War, News and Events. Daniel Folsom, a tinsmith from northern New York, enlisted in the Union Army just days after the fall of Fort Sumter. His exemplary service through years of long marches and hard battles led to two promotions, but during the Battle of Fredericksburg in late 1862, something changed. Folsom seemed uneasy. He was still troubled months later when the regiment mustered out. He returned home, opened his own tin shop and tried to focus on work. As time passed, Folsom’s motivation to work waned. He neglected the tin shop and wandered, aimless, around the village. 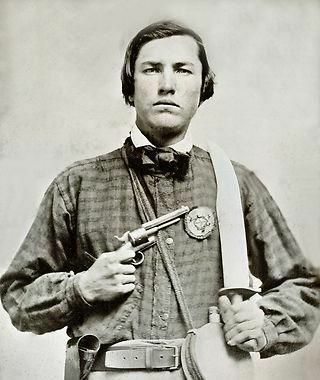 In July 1863, when the first men in his neighborhood were called by the draft, Folsom snapped. Terrified that he would be sent back to the Army, he became sleepless and manic, and then fell into a severe depression. When he attempted suicide, his family had him committed to the State Lunatic Asylum in Utica. In the asylum, the young veteran grappled with his paranoia and guilt. At times, he begged the attendants to kill him. Folsom was not alone: Tens of thousands of veterans damaged by the war had to learn how to live and work with their wounded bodies. In much the same way, Folsom had to adapt to life with a wounded mind. His illness – what today we would likely call post-traumatic stress disorder – had damaged his reputation, but he might be able to prove himself through clean living and dedication. Folsom’s difficulty was compounded by a stigma that held that mental illness was a personal failing and should be kept secret. That stigma has proved difficult to kill. 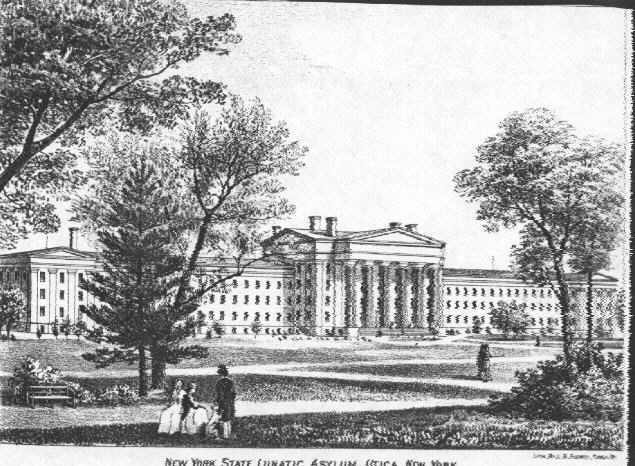 Even today, the case files of the men and women treated in New York State’s asylums during the 19th century are restricted in the name of patient privacy. Thus, the names of the soldiers in this article have been replaced with pseudonyms, and other identifying markers have been removed. The psychological implications of the Civil War have been long debated by historians. Statistically speaking, insanity was not a major cause of discharge for the Union Army. “The Medical and Surgical History of the War of the Rebellion,” an official report by the War Department, lists only 853 discharges by reason of insanity during the war years, accounting for less than 1 percent of total discharges. Terms used to describe mental illness during the 19th century, however, such as neuralgia, nostalgia, headache and sunstroke, were counted separately, which suggests the possibility of a higher number. Of course, officers wanted to maintain as strong a fighting force as possible, so soldiers could be discharged for insanity only if their commanding officers, in addition to medical staff members, agreed that their symptoms were obvious and disruptive. Only the most disturbed soldiers, therefore, received discharges. 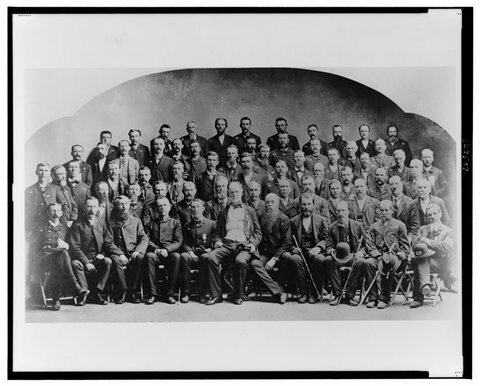 Moreover, after the autumn of 1863, soldiers could be discharged for insanity only after the physicians at the Government Hospital for the Insane in Washington examined them and declared them too insane for duty. There are no statistics that can tell us how many soldiers experienced moments of panic and helplessness, or how many feared they might be losing control. There is also nothing to teach us about the experiences of most of the soldiers after they were discharged. Asylum records, like those of Daniel Folsom, allow us a glimpse into the lives of such veterans and to see the ways the traumas of war affected their ability to navigate the day-to-day obligations of their lives. Folsom, as it turns out, was fortunate – as he indicated to his sister, he did still have a chance. As a postscript to his letter, he made a promise: “I shall try and be a man.” His way of keeping his word was by re-enlisting in the Union Army upon his release, hoping to reaffirm his manhood through battle. He received a commission as a first lieutenant in a New York regiment. When the war ended, Folsom enjoyed success as a tinsmith. He even married and fathered six daughters. Moore soon escaped. He returned home and spent the next several months menacing his family and neighbors before returning to Utica. After his return, Moore seemed ready for a change. He wrote to Dr. John P. Gray, the superintendent of the asylum, promising he would find honest work if he could only be released, even insisting that he would “let Licker alone entirely.” Unwilling to wait for the superintendent’s assent, Moore escaped again in late summer, and from that point disappears from historical record. Whether he was able to change or find work is unknown. Some soldiers were entirely undone by the war. Andrew Hamilton returned home a changed man in June 1864. He had survived the horrors of Chancellorsville and Lookout Mountain and bouts with camp diseases. He had survived prison and hundreds of miles of marching, but when he got home, though his body seemed strong, his mind was altered. He raved about the war. He had insomnia and refused to eat. Hoping for a cure, his family committed Hamilton to the asylum at Utica. Utica Crib, Utica Lunatic Asylum! 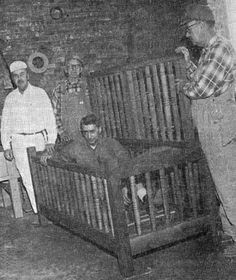 Attendants confined the frantic young man to a “Utica crib,” a bedlike wooden cage used to restrain and ostensibly calm patients. But Hamilton could not be soothed. He beat against the bars until his arms and legs were bruised. He shouted orders to phantom soldiers and drove teams of invisible horses. By mid-July, at only 23 years old, Hamilton was dead. During the dark days of war, soldiers fantasized about their return home, imagining it would be the moment their troubles would end. Daniel Folsom certainly did. “I thought I had got through the hardest of my life when I got through solgerin’,” he wrote his sister. But for Folsom, and the many other soldiers who bore the psychic scars of war, their troubles had only just begun. Sources: Jeffrey Allen Smith and B. Christopher Frueh, “Minds at War,” New York Times Disunion, March 20, 2013; Eric Dean, “Shook Over Hell: Post-Traumatic Stress, Vietnam and the Civil War”; Joseph K. Barnes, “The Medical and Surgical History of the War of the Rebellion”; New York State Archives, “Utica State Hospital Patient Case Files, 1843-1898;” Ancestry.com and genealogical records of the Church of Jesus Christ of Latter-day Saints; 1880 United States Federal Census. Sarah Handley-Cousins is a graduate student in history at the University at Buffalo. Comparison of a $5 Demand Note (upper image) and an 1862 issue $5 United States Note (lower image). Note the removal of the words “On Demand” and of the phrase “Receivable in Payment of All Public Dues”. Also note the Treasury Seal added to the United States Note. 1. The notes are issued to the amount of 90 per cent. of the market value of the bank’s capital. 2. They are not redeemed in specie at all. 3. They are redeemed only in greenbacks. 4. They are a legal tender between the Government and its creditors, except wealthy stockholders, who get coin. 5. The issuers may be made depositors of the government money, at the will of Mr. Chase, and during his pleasure. 6. The capital ($300,000,000) authorized, is one-half to be apportioned by Mr. Chase, at his pleasure. 7. All the public expenditures are to be made in these notes. 8. The law requires 25 per cent. lawful money to be kept on hand by each bank, but its own notes, deposited in another national bank, may be called lawful money on hand. Profits on $16,000, 48 per cent. – – – – $7,778. This Secretary calls an “indispensable permanent currency.” It is evident that this depends entirely upon continued suspension of specie payments. Hence, the whole herd of new banks form an interest to perpetual suspension. These features, it will be seen at a glance, constitute the characteristics of a mere irredeemable bubble currency. Every bank is the creature of Mr. Chase, and lives on his pleasure, since he may give or withhold the public year are already $975,000,000. It is intended that the whole of this shall be paid out in the notes of these banks. Thus, soldiers, contractors, jobbers, officers, will all be distributors of these bubble bills through the whole mass of the people. The paper flood starting from those banks will pour through countless channels over the land, in payment for every article of manufacture and production, and is to return to the Treasury through the hands of Mr. Chase’s tax-gatherers, to be lodged with his pet banks appointed by him to receive it. Thus the thousand millions flow out through Mr. Chase’s agents rob the people of the proceeds of their labor, by depreciation, and flow back into the hands of another set of Mr. Chase’s agents, to be by them used in every county of all the States, as a political fund to further Mr. Chase’s personal schemes. This is the whole story-the only plea given for the setting up of a permanent irredeemable paper system for the people, while the stock-jobbers, and these pet banks themselves, get their interest in coin. Now, the currency of this country, in times of high prosperity and peace, was composed of $300,000,000 of specie, and $200,000,000 of bank notes. This sufficed for the whole business of the whole country. There was no want of circulation; but, on the other hand, we exported $40,000,000 of gold per annum to make coin for other nations. When the war began, Congress authorized $50,000,000 of notes, payable in coin on demand. Mfr. Chase failed to meet the demand; he never paid a dollar. Congress then authorized $600,000,000 of greenbacks, as a legal tender currency. Mr. Chase has issued $450,000,000 of these, which, with the bank notes, make $600,000,000 of circulation. This is a pretty abundant currency, and the fact that it is so is manifest every day in its depreciation. For instance, in Canada flour is $4 25 per bbl., in coin; ten miles south of Canada, the same flour is $6 75 per bbl., in paper. The consumer is robbed of $250 by the depreciation of the paper, showing its superabundance. Those greenbacks are, however, the money of the Government. They are its own promise, and therefore can be “taken by it with safety.” The Constitutionality of the legal tender is yet to be settled. Nevertheless, money is abundant, and safe for the Government to take, since it compels all people to take it, except those who are rich, and they get gold for their interest. The issue of greenbacks by the Federal Government does not attack this right; but if the Treasury can go a step further, and force upon each State banks under Mr. Chase, and which do not pretend ever to pay a dollar in specie, then the State sovereignty and State banks fall together to the ground, and the whole banking system and money power of the country becomes consolidated in the hands of Mr. Chase, with “power to bind or to loose,” to give or withhold Government patronage. The whole machinery will be in his hands, and $300,000,000 of irredeemable paper may be issued at his bidding. This political scheming has evidently been well advanced; but what has the Treasury gained? Instead of six hundred million dollars of greenbacks, legal tenders issued direct from the Treasury, we have some three hundred million dollars of greenback shadows, issued by three thousand banks, not a legal tender, but redeemable in greenbacks. There will be gold for the rich, greenbacks for the pet banks, and greenbacks diluted for the people. The depreciation will be greater, because the notes, at a discount from the place of redemption, will be at a discount even for greenbacks. Thus, suppose Mr. Chase has given Mr. Opdyke a contract for army blankets: to make them, the wool must be bought; Mr. Chase gives him in payment Oregon national bank notes; Mr. Opdyke gives those to the farmer for the wool; the farmer wants the pay in negotiable money, at a moment when, as now, greenbacks are scarce; he must lose the discount, or expense of sending these notes to Oregon for redemption in greenbacks, probably 2 per cent. Thus Mr. Opdyke draws interest on his own stock, for his own use, in gold from the Treasury. He receives, in pay for his army contract, greenbacks that are at a discount of 36 per cent. today, for gold, and pays to the farmer national notes that are at a discount of 2 per cent. for greenbacks. The diluting scale runs down as we approach the producer of wealth. This is what the people get. Now let us see what the Treasury gets. In order to issue notes the banker must deposit United States stock, and he does so and receives 90 per cent. of the market value in circulation notes. If he deposits 6’s of 1881, he gets for each one thousand dollar bond one thousand dollars in notes to circulate, and he also draws $60 per annum interest in gold, on his bond deposited. This is equal to 9 14 per cent. per annum in paper, and he lends his circulating notes at 7 per cent., making 16 1-4 per cent. per annum, which the producer must pay. The Treasury, on an issue of three hundred million of dollars, now authorized, will have to pay eighteen million of dollars per annum interest, in gold, to Mr. Chase’s pet banks, for the privilege of issuing the notes redeemable in greenbacks, instead of issuing the greenbacks themselves. Why should the country pay eighteen millions of dollars in gold per annum to issue paper, which may be done without any expense at all but the printing? The whole operation is a barefaced robbery of the public, to build up a political scaffolding for Mr. Chase’s individual aggrandizement. The pestilent issues should be scouted from every neighborhood; each State should make it a misdemeanor to attempt to pass one of the notes. Every farmer, working man, mechanic, should demand pay in gold, Constitutional coin, for what he has to sell, whether labor or produce. There are now twenty million dollars in gold lying idle in Wall street, while Mr. Chase is organizing banks to supply a currency. In Canada, on the occasion of every bargain, it is stipulated that part pay shall be taken in United States coin, and yet here the people are compelled to strike for more pay, because they get nothing but Mr. Chase’s fraudulent promises, and he is putting out millions more of even less value. Let there be one universal strike among all people, and that simply the demand to be paid in gold and silver. It is the only way to save the Government, which is jeopardized by the infamous schemers who have brought on this war, and who seek through paper money to destroy, not only the Union, but what remains of popular rights, even the right to live by labor. John Quincy Adams, the quintessential New England Yankee, echoed these Jeffersonian sentiments in an 1839 speech in which he said that if different states or groups of states came into irrepressible conflict, then that “will be the time for reverting to the precedents which occurred at the formation and adoption of the Constitution, to form again a more perfect union by dissolving that which could no longer bind, and to leave the separated parts to be reunited by the law of political gravitation…” (John Quincy Adams,>The Jubilee of the Constitution, 1939, pp. 66-69). There is a long history of American newspapers endorsing the Jeffersonian secessionist tradition. The following are just a few examples. The Bangor, Maine Daily Union once editorialized that the union of Maine with the other states “rests and depends for its continuance on the free consent and will of the sovereign people of each. When that consent and will is withdrawn on either part, their Union is gone, and no power exterior to the withdrawing [state] can ever restore it.” Moreover, a state can never be a true equal member of the American union if forced into it by military aggression, the Maine editors wrote. A union maintained by military force, Soviet style, would be “mad and Quixotic” as well as “tyrannical and unjust” and “worse than a mockery,” editorialized the Trenton (N.J.) True American. Echoing Jefferson’s letter to John C. Breckinridge, the Cincinnati Daily Commercial once editorialized that “there is room for several flourishing nations on this continent; and the sun will shine brightly and the rivers run as clear” if one or more states were to peacefully secede. Thomas DiLorenzo is professor of economics at Loyola University Maryland and a member of the senior faculty of the Mises Institute. He is the author of The Real Lincoln; Lincoln Unmasked; How Capitalism Saved America; and Hamilton’s Curse: How Jefferson’s Archenemy Betrayed the American Revolution — And What It Means for Americans Today. Send him mail. See Thomas J. DiLorenzo’s article archives.